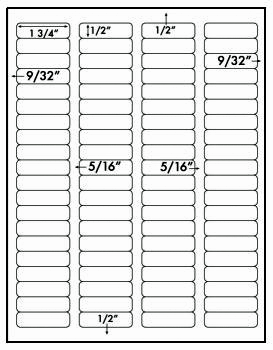 This label 1-3/42" x 1", 80 per sheet. AVERY labels are manufactured by Avery®. Avery is a registered trademark of that company. Label Outfitters® does not make Avery products. 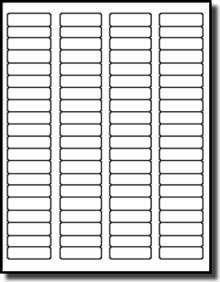 White Mid Gloss Return Address Size Laser Only Printable Labels. Note: Inkjet Printers are not recommended for Bar Codes!